We went shopping last week and it was my first time to Madewell.. and i kinda fell in love. The store is super cute, and i kinda hate to say it but their website just doesn't do the store justice! 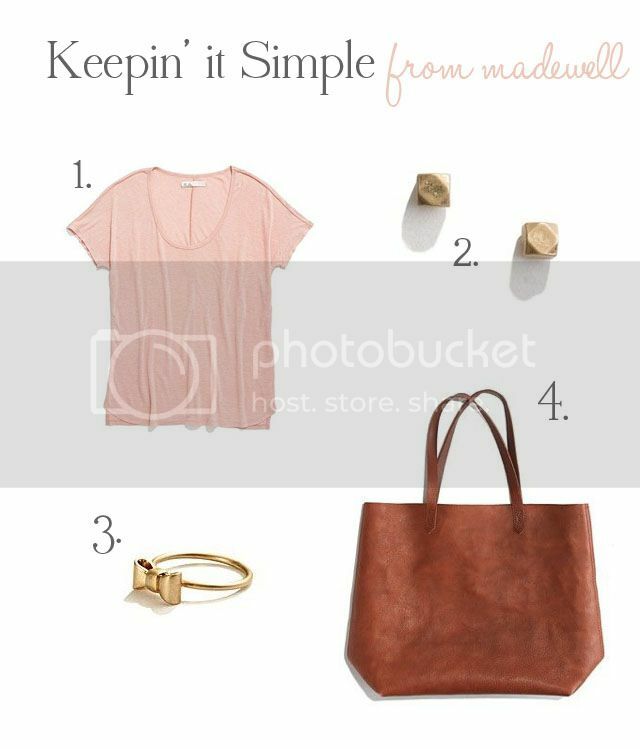 and someone made the comment about how they wish Madewell wasn't so expensive..
that aren't soo expensive! I also was wearing the autograph tee in yesterdays post. Ok, so the bag might be a little pricey.. but it's leather & sooo stinking gorgeous!! Love the t shirt! The colour is so pretty. Those earrings are also awesome.